6" Stuffed hawk/falcon beanie plush toy animal. 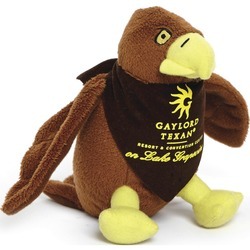 Stuffed animal bird hawk, school mascot great with a school logo. Sports team love to use these as a fund raiser. Low minimum with any logo.